One of the things on my list of 30 things to do before 30 was “to be vegan for a month”. An item I checked off in November. It was hard when with friends, but really easy to do when I was by myself. I tried a lot of great recipes and have been making a lot of vegan meals since. 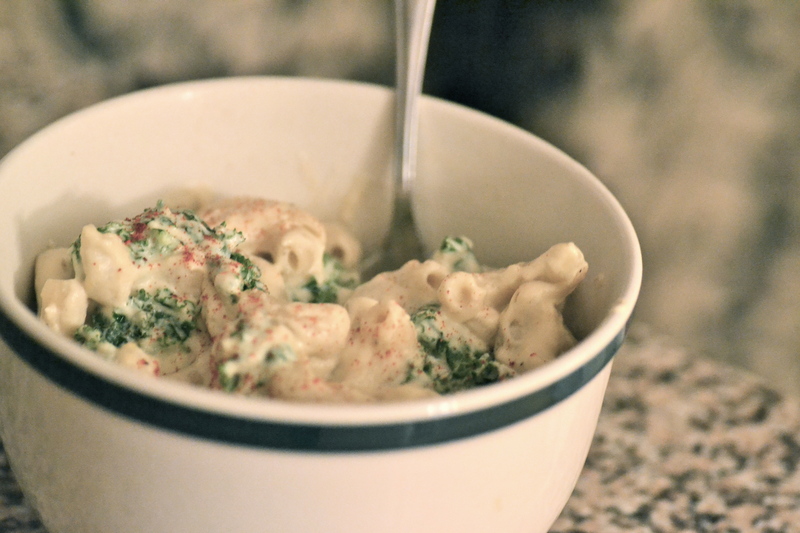 This recipe for smokey vegan mac and cheese is a total keeper, and one I’ll be making again. 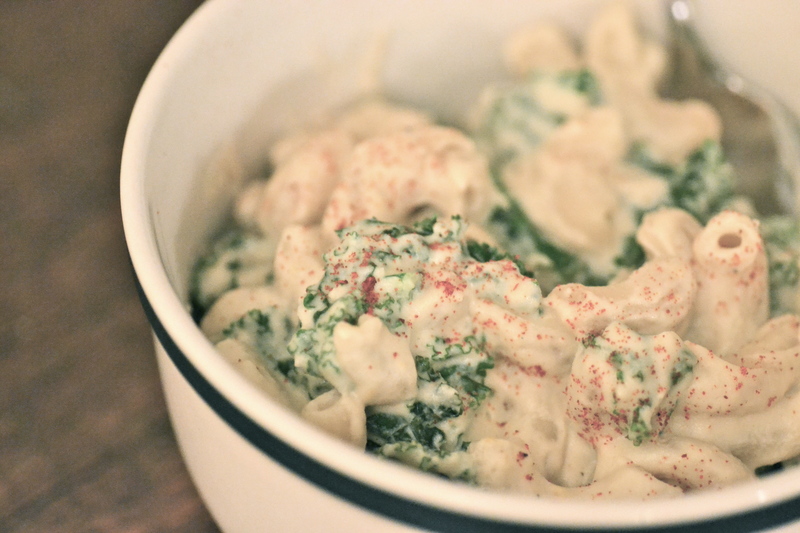 The “cheese” sauce is made with soaked cashews, almond milk, lemon juice, and nutritional yeast, giving it a smooth texture and cheese-y flavour. Also, this dish has brown rice noodles making it gluten free! I loved this meal, and I hope you do too! Cook the pasta according to package directions, undercooking just slightly by a minute or so. Drain well and rinse completely with cold water to remove any starch. Transfer the pasta back to the pot and set aside. Place the soaked and drained cashews, 1 cup almond milk, lemon juice, lemon zest,nutritional yeast, garlic, and 1 1/4 teaspoons salt into a food processor. 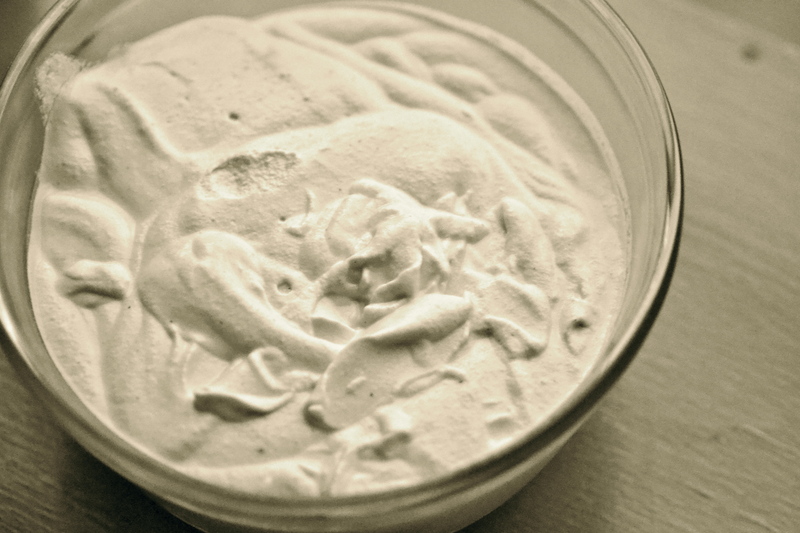 Blend very well, at least 7 minutes, until completely smooth and silky, scraping down the sides as necessary. Add about 1/2 cup more almond milk until thinned, pulsing between each addition. Add the sauce to the pasta in the pot, and then stir in the remaining almond milk to thin. Warm up gently over medium-low heat, stirring often until desired temperature is reached. Sprinkle on the smoked paprika and fold just to combine. In a small frying pan over medium-high heat, toss together the kale, coconut oil and sea salt and saute for about 3 minutes, or until bright green and slightly wilted. Stir into the pasta and serve immediately. Guess what? I’m going skiing today! Not downhill, or mogul jumping or anything like that, but wholesome cross-country skiing. Excited? I am! It’s just like any other day though. Why? It’s morning, and I’m about to bake. No surprise. The difference with today is that I need to bake something that I can have to snack on while skiing. 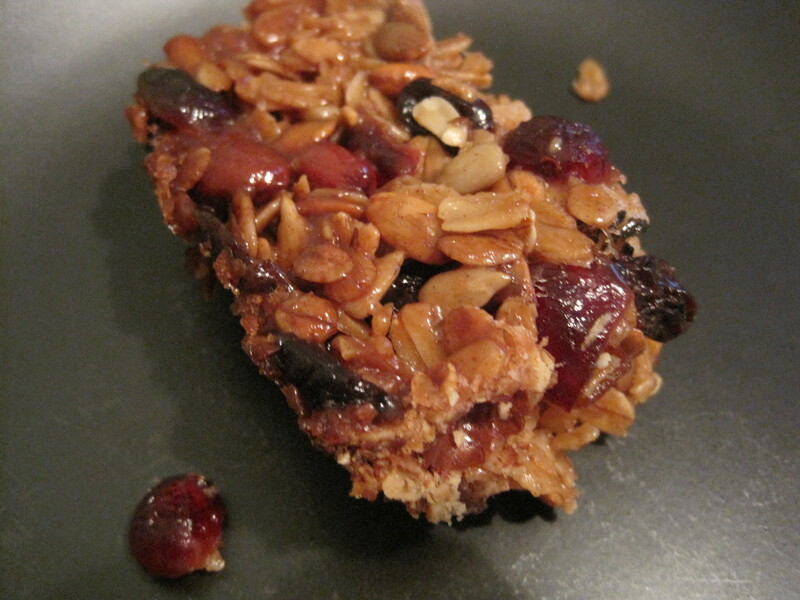 So, what better than energy-packed granola bars? 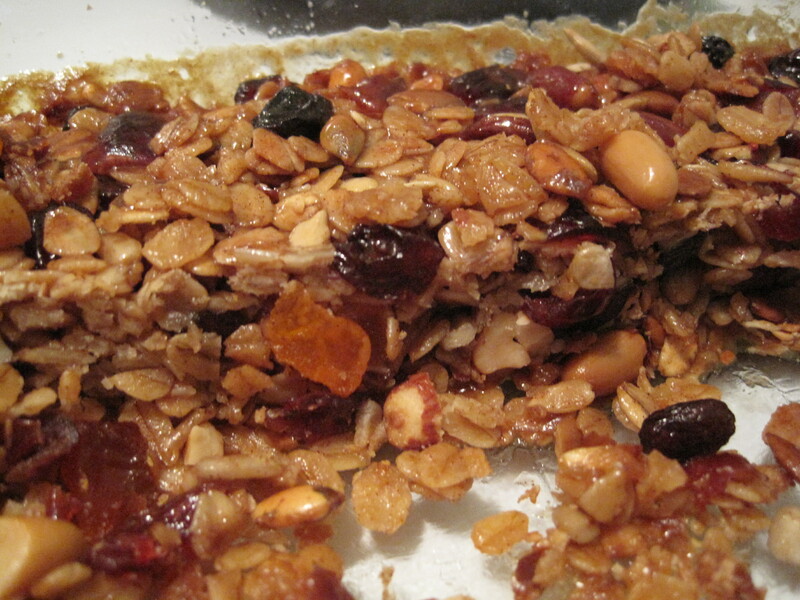 Granola bars are great because you can cater them to your own wants and needs. Like cranberries, pumpkin seeds, maple syrup and almonds. Or how about peanut butter, cashews, and chocolate? Or coconut, golden raisons, honey and sesame seeds? Holy variety! I’m a vegetarian, and because of this my cupboards are FILLED to the brim with various nuts, seeds, oats and dried fruit…the perfect ingredients for granola bars! 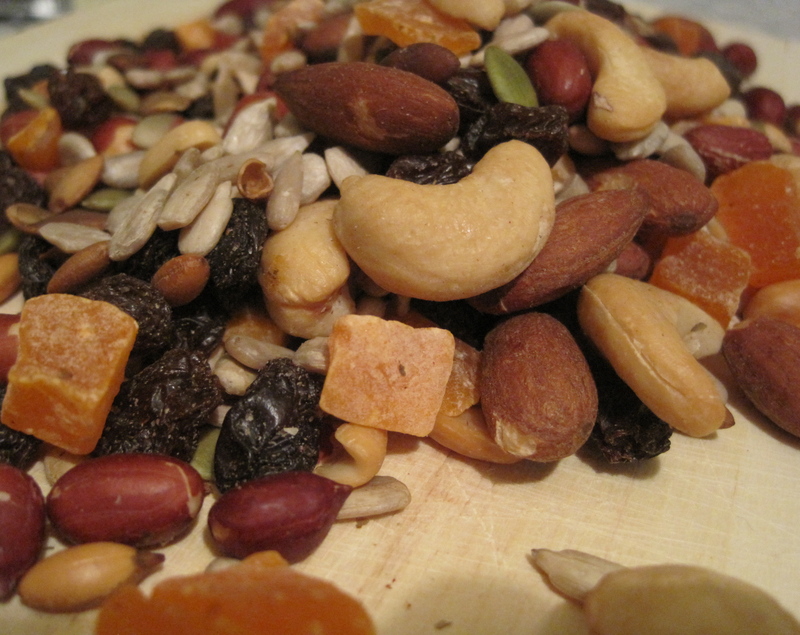 Today I’m going to go with oats, nuts, seeds, honey and dried fruit. You’ll never buy granola bars again. These are preservative free, and full of ingredients that you KNOW. Heck, you’re going to make them, so pack them full with ingredients you like! This recipe was adapted from the Golden Book of Baking. 1. Preheat oven to 375F, and butter an 11 x 7 inch baking pan. 2. 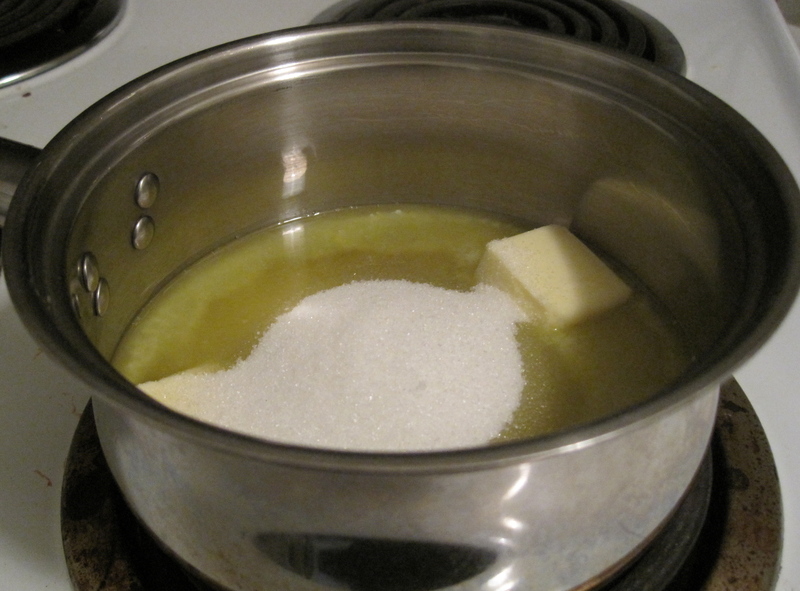 Melt the butter with the honey and raw sugar in a large saucepan over low heat, stirring constantly. Bring to a boil and simmer until the sugar has dissolved completely. 3. 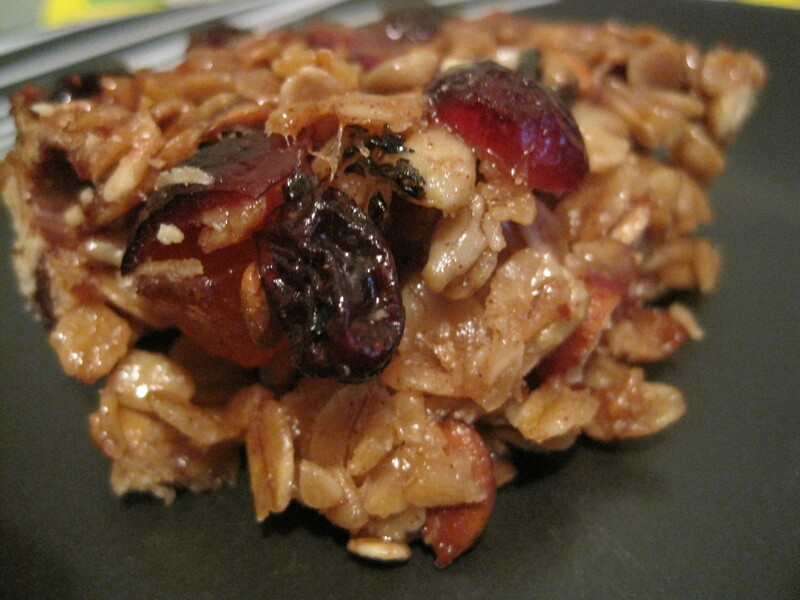 Remove from heat and stir in the oats, nuts, dried fruit, seeds, cinnamon and salt. 4. Spoon the mixture evenly into prepared pan and bake for 30-35 minutes, or until just golden. 5. Cool completely before cutting into bars.